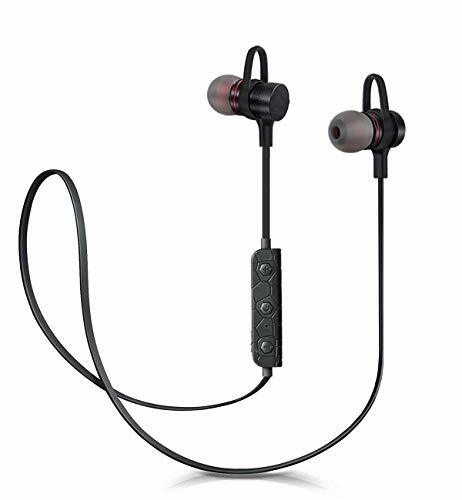 STRONG COMPATIBLE BLUETOOTH EARBUDS Compatible with most Bluetooth enabled devices, such as Apple iPhone X 8 8plus 7 7plus 6S 6 6S Plus 6Plus SE 5S iPad iPod Nano 7 iPod Touch and Samsung Galaxy S7 S8 Android Phones and other Bluetooth enabled devices.You are able to enjoy the music or video with one device, but never missing any important calls from your phone. After first paired,It just takes a few seconds to pair and practical in your daily life! EXCELLENT BATTERY LIFE The new and improved lithium battery allows seamless enjoyment of music for up to 4 hours on a single charge and 100 hours of stand-by, only take 1-2 hours to fully charged. Battery status displayed on IOS device.There is reminding sound when battery is low,and the led would flash in red at the same time.When taking charge, the led would would be in red, and turns in blue when fully charged. STRONG SIGNAL FANTASTIC SOUND QUALITY Fantastic TWS (True Wireless) technology makes wireless synchronous connection stereo pairing come true. You can connect them with multiple Bluetooth devices in the range of 10m(about 33feet).Eliminate stethoscope effect of all wired headphones and noise reducing.It contain TWO pieces which can be used separately with someone sharing music or broadcast (within reasonable distance), or you can enjoy the stereo sound by using them both or alone. 2.4G Wireless Technology: Low Radiation; Low interference; Stable and Clear. High sensitivity, No Direction Limitation. 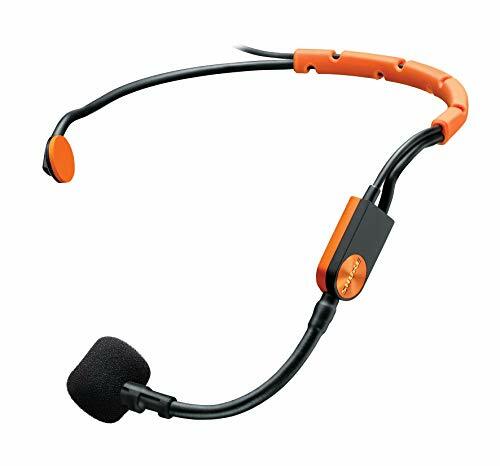 Headset and handhold 2 in 1: remove the head bracket, hold the transmitter in hand, it will become a handhold microphone. Wide in Use: The 2.4g wireless mic can be widely used on voice amplifiers, large power speakers, like stage speaker systems, media classroom speakers, bus speakers, trolley speakers, etc. It is the best choice for stage performers, tour guides, teachers, coaches, presentations, etc. 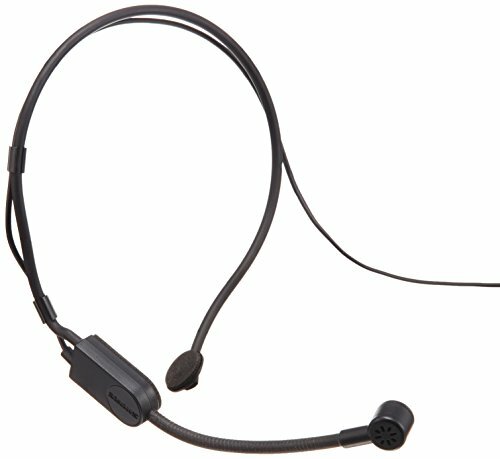 View larger Shure PGA31 Performance Headset Condenser Microphone Specifications Accessories The PGA31 is an affordable wireless cardioid condenser headset microphone that delivers reliable sound quality for speech and live vocal performance applications. Designed for long-wearing comfort, the PGA31 offers a secure fit for hands-free operation in any situation. Its unidirectional cardioid polar pattern provides excellent off-axis rejection for higher gain-before-feedback when using a stage monitor. 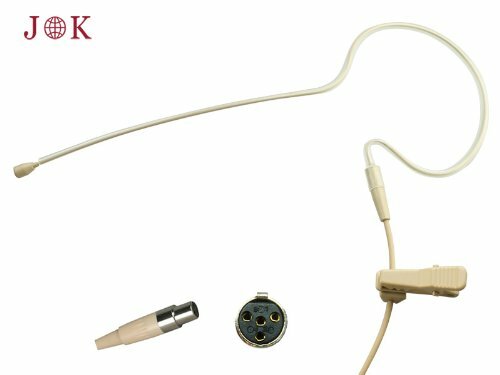 Wireless Packages: Available in bundled BLX, GLX-D, and PGX Digital wireless systems, the PGA31 features TA4F 4-pin connectors that make it a viable replacement for any Shure wireless headset system. Also connects up to 33 ft/10m away in open space, Can be connected with two devices Simultaneously. The ergonomically Ultimate carrying comfort meets your active lifestyle on the road, running, biking, training, jogging, rambling, sports and more. 2.4G Wireless Microphone - 2.4G wireless transmission technology, 40m stable wireless connection at open area, loud, clear and high fidelity sound, no interference and echo,better experience. 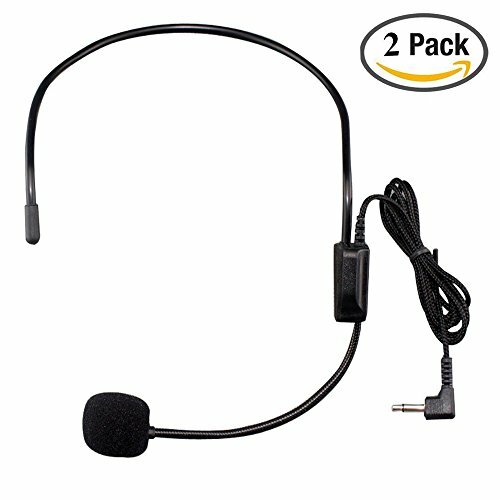 Headset and Handheld 2 In 1 - Wireless Mic Headset and handheld 2 in1, with removable ear hook, use whichever style you want. Plug &Play - One step set, just need to plug mic's signal receiver in the device, then it connect the mic automatically, more convenient. Built-in rechargeable Li-ion battery, one time full charging about 3-4 hours, more than 8 hours working time. Comes with handheld mic, removable earhook, signal receiver, USB charge cable, 6.35mm exchange plug for receiver to pair with different devices, detailed user maual. The 2.4g wireless mic can be widely used on voice amplifiers, large power speakers, like stage speaker systems, media classroom speakers, bus speakers, trolley speakers, etc. It is the best choice for stage performers, tour guides, teachers, coaches, presentations, etc. PS: (L) Earphone is the master, (R) Earphone is the slave. Only the master Earphone (L) has sound during phone calls. Use during driving will help to keep your safe for a hands-free experience. 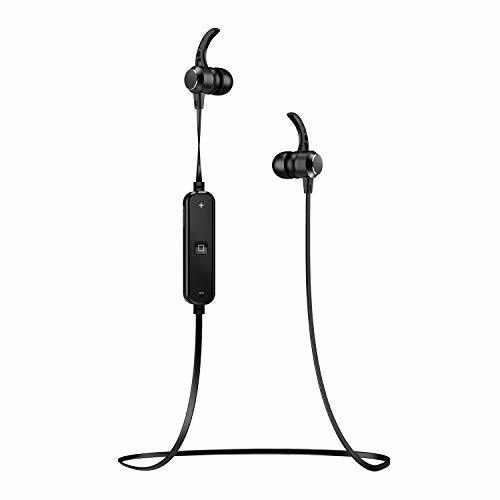 Single or Dual Wireless Earbuds - model K2-HD wireless earbuds are a multi-point connection. This pair of true wireless Bluetooth earbuds can be used as one single earbud to keep an ear open for the traffic or use as a pair to enjoy music. They are compatible with hundreds of brands and other devices with Bluetooth function. Connects up to the 30 Ft in the open space, make your earbuds extraordinary. The wireless age is here! Experience the unprecedented convenience of wireless earphones with the all new Ti-Thor Wireless Bluetooth Headset. After tens of thousands of refinements and adjustments, we finally designed an in-ear wireless Bluetooth earphone that is shock resistance and never falls out, and what we believe will be the best headset for sports. In fact, it fits so perfectly you won't even notice it's there, allowing for maximum enjoyment with zero inconvenience during any form of activity. We also made it Qi-enabled to enable wireless charging. Simply place it on the wireless charging pad and it'll start charging, relieving you of all troubles of plugging plugs and ports in and out. Tiamat - Go Wireless, Go Troubleless. Our products come with 30-day money back guarantee. Besides, we provide free replacements for defective products within 12 months. If you are not satisfied with your purchase for any reason, just contact us now! 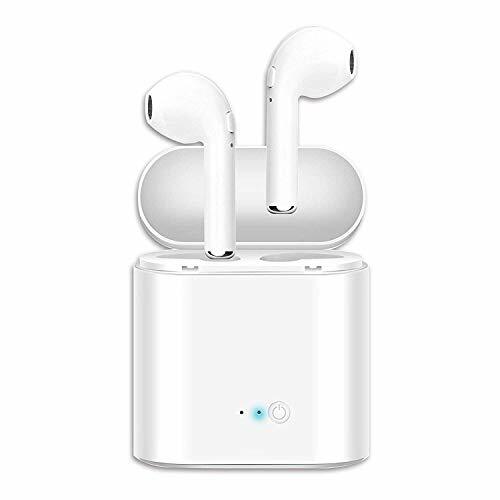 [The New Upgraded TRUE WIRELESS BLUETOOTH 5.0] TIAMAT Thor II True Wireless Earbuds adopted the upgraded Bluetooth 5.0, support automatic connection each earbud, put back case auto sleep function. Extreme low power consumption and smart automatic connection. Compared with Bluetooth 5.0 chip, our New Wireless headphones can support farther transmission distance, a larger amount of data transmission, and more stable signal performance. The True wireless Bluetooth earbuds range is up to 50ft. Qi-enabled Wireless Charging Case Sick of plugging wires in and out? Now all easy, Ti-Thor's Qi-enabled hardware allows it to be charged wirelessly! Just place it on the wireless charging pad and it will charge automatically. Place it down, pick it up. Simple as that. Forget about all the troubles of the wires and ports. 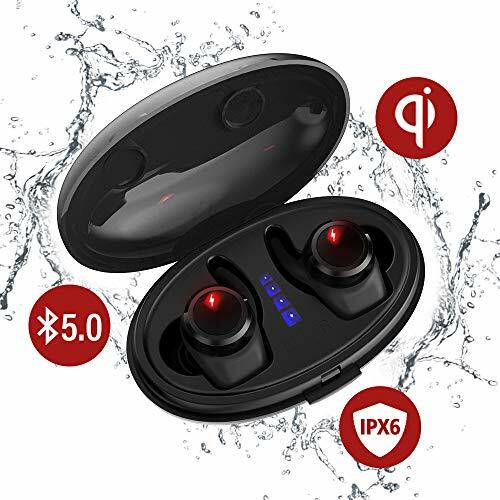 SPORT IPX67 WATERPROOF SPECIALLY DESIGNED TIAMAT Thor II Bluetooth Earbuds are awarded IPX67 certification. Nano coating effectively prevents damages from sweat, light rain, and accidental splash. Also Cool breathing light design earbuds. Professional design based on Ergonomics for keeping your ears comfortable and they'll not slip out even while you are running, biking, training, jogging, hiking, or exercising. Besides, we offer 3 different sizes of ear tips to meet different guys. UP 32 HOURS OF LONG BATTERY LIFE TIAMAT Thor II True Wireless Earbuds carry 1000 mah battery. Up to 32hours play time. It's about 2 hours to charge the charging case fully. About 20 minutes to charging the earbuds through the charging case each time. And the charging case can be charged 4 times for 2pcs earbuds, and 8-9 times for one earbud. The music playtime is up to 6 hours after the earbuds being fully charged (Tips: the music playtime varies from volumes, song duration, phone call. 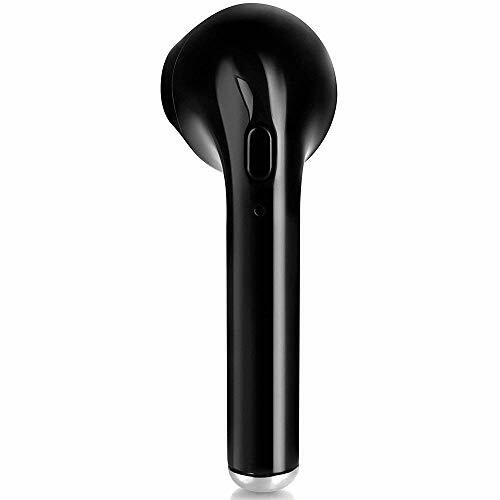 TIAMAT FORCE WARRANTY TIAMAT Wireless Bluetooth Earbuds provides you 100% satisfied customer service and 30days money back, even after 6 months replacement from Amazon if meet the requirements. Any questions about the product, please do not hesitate to contact us. We will reply you within 24 hours. Bluetooth v4.2+ ear audio decode technology, along with CVC 6.0 super noise reduction technology provides lossless stereo sound. Battery performance: Up to 6 hours talk time / music time (playtime varies according to volume level and audio content). Charging time: 1-2 hours . Gknight is committed to providing people with best wireless audio products and build a totally wireless lifestyle. Wireless life is a trend, a new proposition. Easy link, simple live. -7.Compatible with all android and IOS Devices, Bluetooth-enabled tablets and so on. While you are on the phone with stereo mode,only ONE EARBUD is working. STEP 1: Long press the power button of the pair of earphones at the same time until the led flash in blue and red alternately. The both of them have a voice say "power on" and then "wait connection". STEP2: Double press one of them will have a voice "wait for the team" and wait for one led of earbud flash in blue and red alternately will have a voice "team successful" and then "wait connection", that it is the pairing status. STEP3. :Please turn on the "Bluetooth" on your cellphone and choose "tws-i7" or "i7-tws" on your list. STEP4: The led flash will be slowly in blue when connected and will have a voice "connection". This will be one of your coolest purchases ever. Click Order Now to get your Gknight Wireless Bluetooth Headset before this amazing deal evaporates! 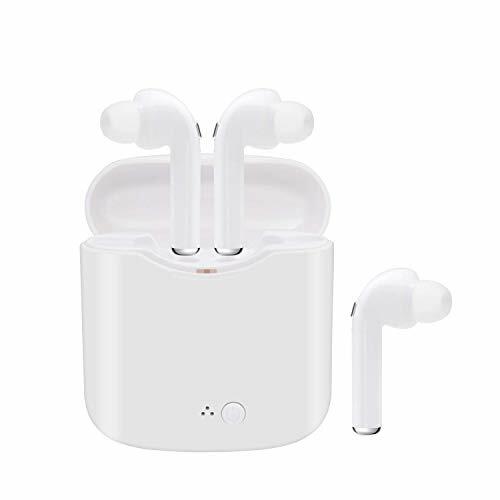 OUTDOOR PORTABLE DESIGN :Only 4g for each.Mini wireless bluetooth headsets has a same size as Air pods.It can securely fit all shape of ears.Suitable for running,biking,training,jogging,climbing,hiking and so on. PERFECTLY FIT : Bluetooth headphones are widely compatible with all android and IOS Devices, Bluetooth-enabled tablets and so on. EASY TO USE : Simply one press to answer or reject phone calls, Bluetooth pairing, power on and power off. EXCELLENT FUNCTION : Wireless headphones has a portable charging case, A single 50-minutes full charge allows for 90 minutes music time or 10 days of standby time. 100% BEST AFTER-SALES SERVICE : 100% best after-sales service and 12 months worry free warranty.If you are not satisfied with your purchase for any reason, Please feel free to contact us. 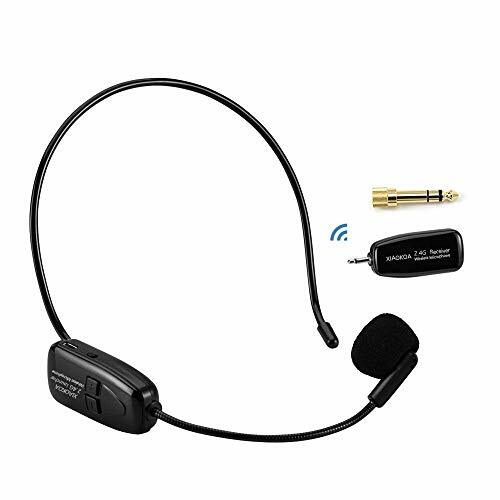 Wired Headset Boom Mini XLR Omni-Directional Microphone Weight: 15g Max.Input SPL: 130dB Cable Length: 1.2Meters Sensitivity: -45dB 3dB Connector: 4 Pin Mini XLR Power Supply: DC 1.5V-10V Output Impedance: 1k 30% Polar Pattern: Omni-directional Frequency Response: 20Hz- 20KHz Element: Back Electret Condenser Color: Beige/Matches Various Skin Types Accessories: 2 Windscreens This headworn omni-directional mic has a back electret condenser for crystal-clear recording of your voice. 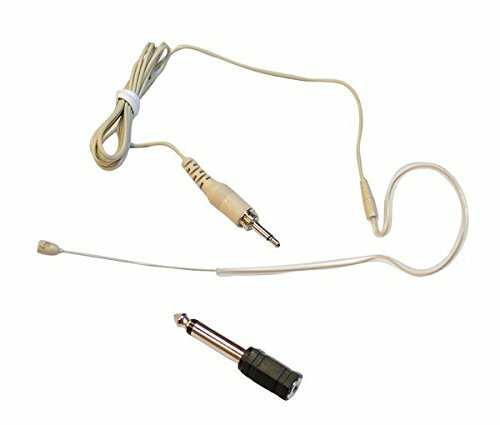 It uses a 4-pin mini XLR connector, so it'll work great with your Shure system. Includes windscreen. 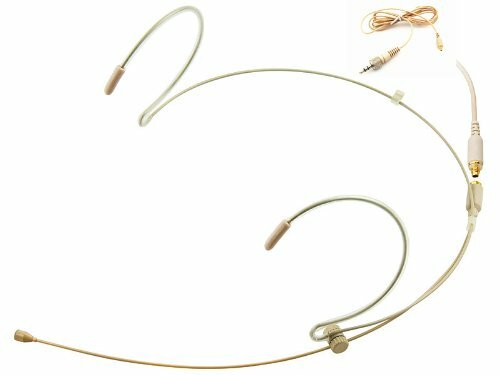 AV-JEFES AVL-630-SH4 Professional Tan Headset Microphone for Shure Wireless Microphone System. With mini capsule diameter and the ultimate in low profile, high performance vocal pickup Omnidirectional condenser headset microphone. RoHs and REACH Complied. Without Pb, Hg, Cd, Cr6+, PBB, PBDE. 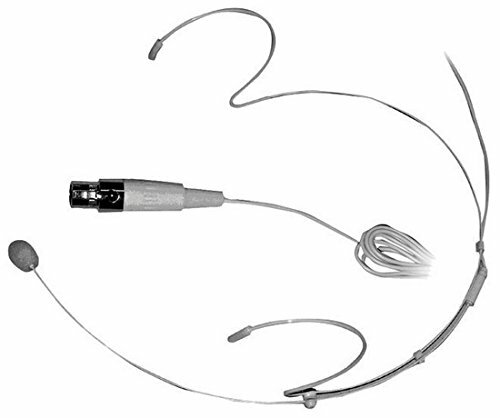 The SE10 is a low profile, headworn, micro-miniature condenser microphone with a 3mm capsule. Its excellent audio reproduction makes it perfect for spoken word, fitness, and other vocal applications. The microphone can easily be shaped to fit the left or right ear. View larger The microphone can be easily shaped to fit the left or right ear and the unique retaining band holds the mic in place even when used in fitness applications. Plus, the omnidirectional pickup pattern results in a clear and articulate reproduction, regardless of the position of the capsule relative to the sound source. Its water resistant coating also provides protection from sweat and other moisture during high-energy performances. Includes four cable adapters, three windscreens, and a cable clip. View larger Designed for Samson Wireless Systems The SE10 is particularly well-suited for use with Samson wireless systems. 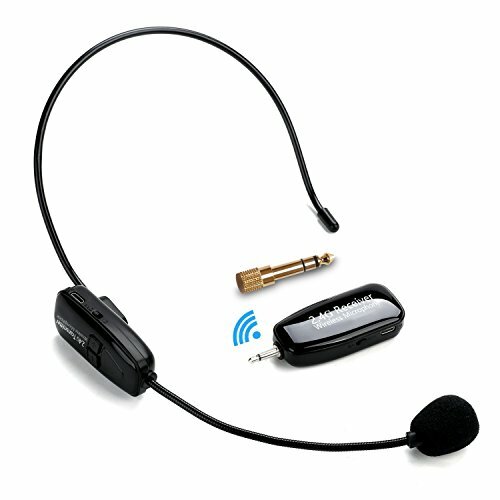 And with four included adapters, the microphone can be used with most any other manufacturer's wireless beltpack systems. Manufactured with extreme care and the highest quality components, the SE10 delivers exceptionally clear, articulate sound with reliable performance in an extremely low profile design. About Samson Samson Technologies began in 1980 as a pioneer in wireless microphone technology. Today, Samson is an industry leader in professional audio solutions whose products are known for their fidelity and reliability. Samson products are preferred by recording artists, performers, educators and audio professionals throughout the world. Why X5 Wireless Headphones is better than others ? The X5 Bluetooth headphones could compatible with all kinds of Bluetooth devices,including Huawei, iphone8, 8plus,iphone X etc . Simply hold press till paring ,you will have it in control . good music company with you when you work out . provide your lag-free auditory experience and CD-Like Audio Quality. With noise-cancelling , you could enjoy better sound audio in your little music world . Due to built-in magnets design , both earpieces can attach to each other like a necklace around your neck when not in use. 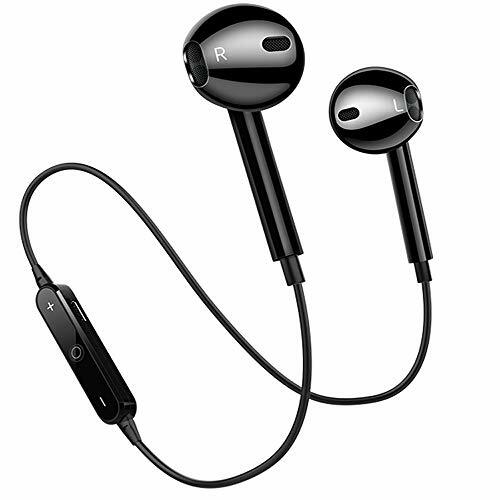 It is a very easy way to carry the earphones around for any outdoor activities, such as hiking, cycling, and running. Sweat Resistant and Water Resistant : Built for your active lifestyle.value - these wireless earphones are rated IPX Level 6 and can withstand dripping sweat. In-line Mic&Button Control : Thanks to in-line mic and button control, you can enjoy hands-free phone calls, adjust volume and mange previous/next track conveniently. Bluetooth Headphones X5 provides 12 months hassle-free warranty to ensure the enjoyment of your purchase. Long-Lasting Usage&Built-in Magnetic Design : X5 wireless earbuds has Up to 5-6 hours talk time / music time (Playtime varies according to volume level and audio content). It also has up to 100 hours of standby time and charges in 1-1.5 hours. You can attach the two earbuds together when not using. And wear like a necklace around your neck, a convenient way to carry around when you don't need them. Customizable Accessories : This Bluetooth earbuds come with customizable accessories,3 pairs different size earbuds tips to secure fit for all customers .And you won't feel hurt even for an whole day wearing with silicone materials and ergonomics ear hooks design.The ear bag could ensure your earphones portable,convenience and tidiness. 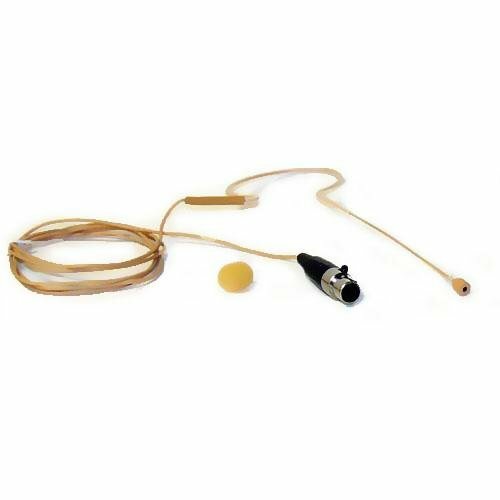 Headworn Omni-Directional Microphone (3.5mm / 1/4'') Color: Beige Wired Boom Cable Length: 1.2M Max.Input SPL: 130dB Sensitivity: -44dB 3dB Power Supply: DC 1.5V-10V Output Impedance: 1k 30% Polar Pattern: Omni-directional Frequency Response: 20Hz- 20KHz Element: Back Electret Condenser Weight: 10g (not including Adaptor) Connector: Standard 3.5mm Plug (or 1/4'' Adapter) Accessories: 2 Windscreens & 1/8" Stereo Jack to 1/4" Adapter This headworn omni-directional mic has a back electret condenser for crystal-clear recording of your voice. Includes a ' adaptor, 1.2 meter cable, and windscreen.